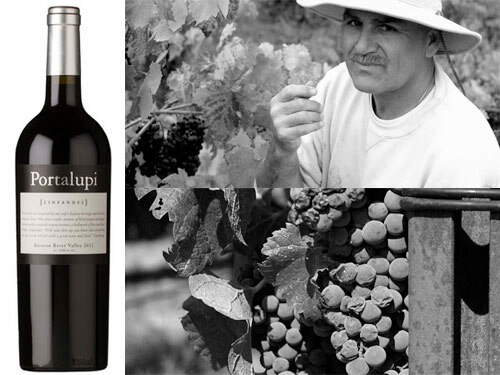 Tasting Notes: Portalupi Winery’s first release may have only come out in 2002, but winemaking goes deep into the family’s history. Husband and wife team Tim Borges and Jane Portalupi began the winery to honor Jane’s grandmother, Marina, who came to Northern California from Piedmont, Italy, and brought with her a knowledge and love of winemaking. If that weren’t timeless enough, their 2012 Old Vine Zinfandel comes from the Dolinsek Ranch, whose vines were planted over 104 years ago. Its rich bouquet boasts aromas of ripe raspberry and spice, with flavors of blackberry, cherry and smoke continuing onto and across the palate. A high alcohol content and well-structured tannins make this wine an excellent candidate for bottle aging for five to 10 years, while still being excellent for immediate consumption if decanted.